I have noticed more people in my awareness lately that engage in more natural healing solutions, whether that’s esoteric means such as chakras or healing crystals, or concrete means such as essential oils. Essential oils are just an additional component that is available for those that choose more natural products in their health regimen. 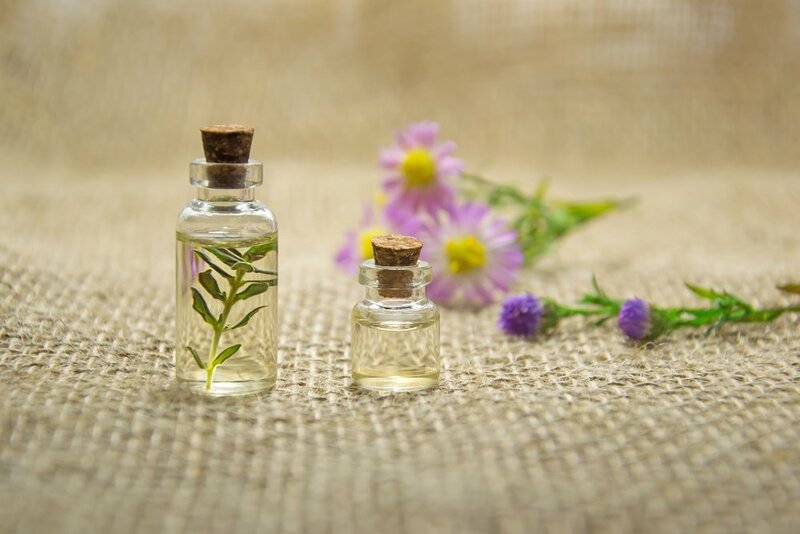 Since using essential oils, I have gained a greater sense of control and empowerment over my health, as well as a greater understanding of how my physical body and emotions work. I’ve also gained more clarity and peace of mind to know what oil works best for me when I’m in certain conditions. Just as certain foods can boost your digestive system and certain exercises can build strength in a muscle, so too can essential oils bring balance into your life. So here’s my journey. I started my adventure into natural healing methods after I discovered Carol Tuttle and her books, such as It’s Just My Nature and Remembering Wholeness. Then I moved on to meditation practices such as Byron Katie’s The Work, but it wasn’t until a friend invited me to a class on essential oils that I began my journey with doTerra. I had never heard of essential oils or understood anything about them at the time. I was quickly educated on the safest way to use them and the multiple uses of different oils and their properties. Of course, there are horror stories from those who have used oils without precautions, such as sunbathing after putting on a citrus blend. It’s best to think of oils as supplements or natural medicine. However if you see a warning to not put a certain oil on your body, then it’s most likely not a pure grade, and consequentially, you won’t get the most benefit from that oil. This is why you have to be cautious about the ones you see in your local grocery store. This is also the reason I use doTerra, because of their focus on sustainability and pure grade of their products, but I know there are other oil companies that have certifiable products as well. I started out with samples of three oils. The first one was doTerra’s Breathe blend, which is most useful for respiratory issues. I was feeling stuffy with the weather as I was used to getting sinus infections and a running nose. After taking the oil in a cough drop form, it opened up my passageways and I began to breathe easier. Of course, you can grab some Hall drops or other cough drops and feel the same way, so not very convincing. Next, I was over my friend’s house and was feeling sluggish. She let me rub a small amount of the Elevation blend, which is doTerra’s joyful blend. A few seconds later, I was feeling energized and alert. After this, it didn’t take me long to jump on the bandwagon and order my own kit of essential oils. But that’s when I encountered my next example. I suffer from depression every now and then, but it’s nothing like how I was before I started using essential oils and doing meditation work. I was feeling very depressed one day and reached out to the same friend. At the time she suggested a citrus oil, but instead, I grabbed a bottle of Lavender. It helped me sleep more peacefully by rubbing it on the bottom of my feet, but I got the intuitive hit to just take a drop or two in my mouth. Now let me tell you, there are many of the oils that you can take internally and even use as a spice in your cooking. However, lavender is one of those oils that is ABSOLUTELY DISGUSTING if you take it straight as a drop, BUT within a few minutes of doing this, I went from almost crying and totally depressed to dancing in my living room. I had music going and I didn’t even realize the shift in my emotions until my friend texted me to check up on me. That’s when I realized that lavender was a personal oil that I needed at the time. I took it internally for a couple of days (in a veggie capsule because I’m not a masochist) and it truly helped me deal with my depression. There are other stories where people have used other oils for emotionally support, but some people get goosebumps every time I tell this story. I still use essential oils and will be delving more into the emotional side of oils in future posts, but I wanted to share my story at this point of my journey. If you use essential oils, what are your favorites and why? And if you’re undecided about essential oils, what would be the most beneficial for you to receive help with right now, emotionally or physically? May it be overall emotional support, healing a physical ailment, or even help with addiction recovery, I can almost guarantee there’s an oil for that.